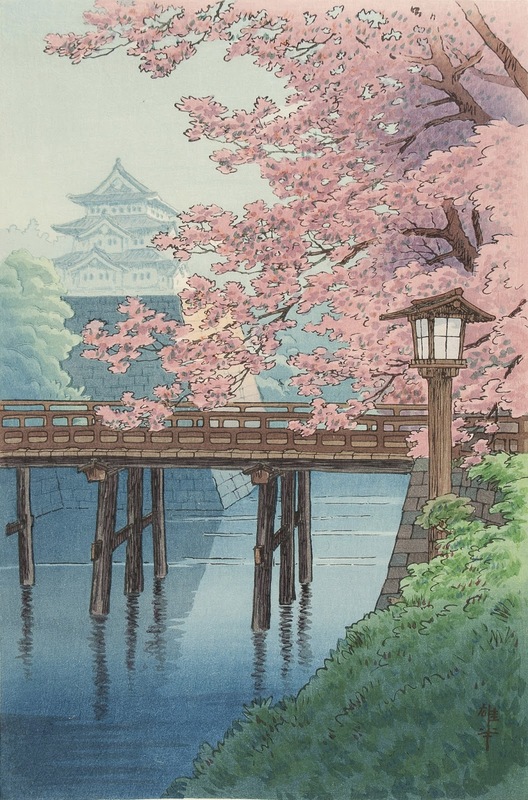 Yuhan Ito (1882-1951), Castle and Cherry Blossoms. Henry Sotheran Ltd is excited to announce its upcoming exhibition ‘20th C. Japanese Prints’. The exhibition will feature a range of works including traditional woodblock prints of botanicals and landscapes, original watercolour scrolls, Studio Ghibli storyboards and hand drawn anime (manga) cels. One artist whose work features predominately in the exhibition is Shodo Kawarazaki (1889-1973). His wonderful botanical woodblock prints range from Lilies to Chrysanthemums and are evocative of the style of flower subjects being produced in Kyoto during this time. 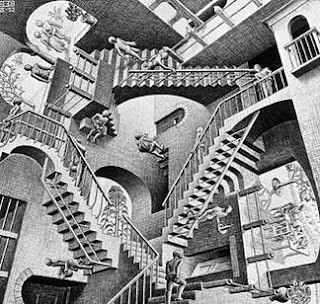 These prints were published by Unsodo mostly in the mid 1950's. Other highlights of the exhibition include the extraordinary prints by Hasui Kawase (1883-1957). 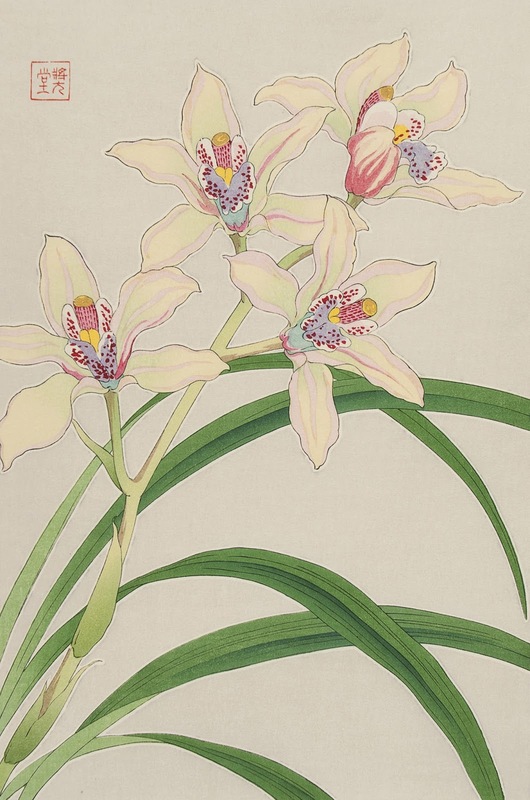 This artist was one of the chief printmakers in the shin-hanga ("new prints") movement. 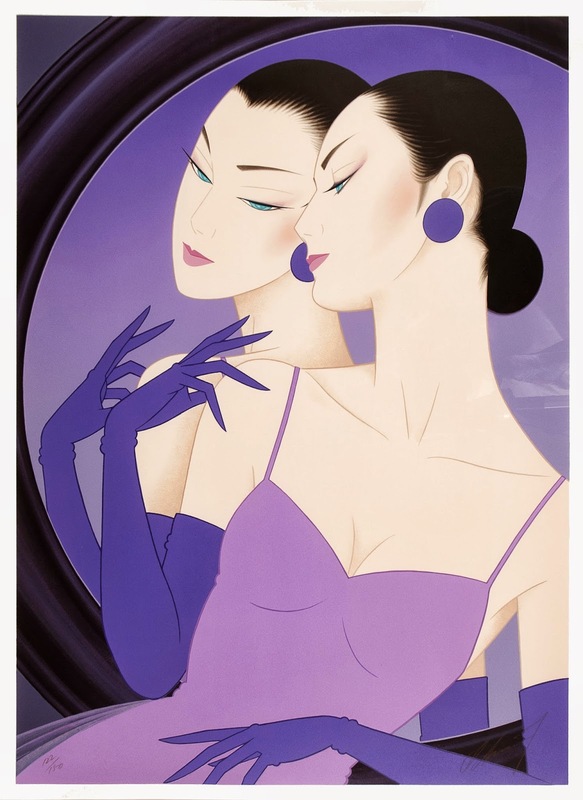 Ichiro Tsuruta (1954-), Beauty with a Mirror. We are very fortunate to be able to offer for sale a superb collection of watercolours on silk scrolls by artists such as Chikuha Otake (1878-1936) & Shunbi Noguchi (1880-1946) with some available in their original hand painted presentation boxes. The exhibition is free and open to the public, and all artworks will be available for acquisition. 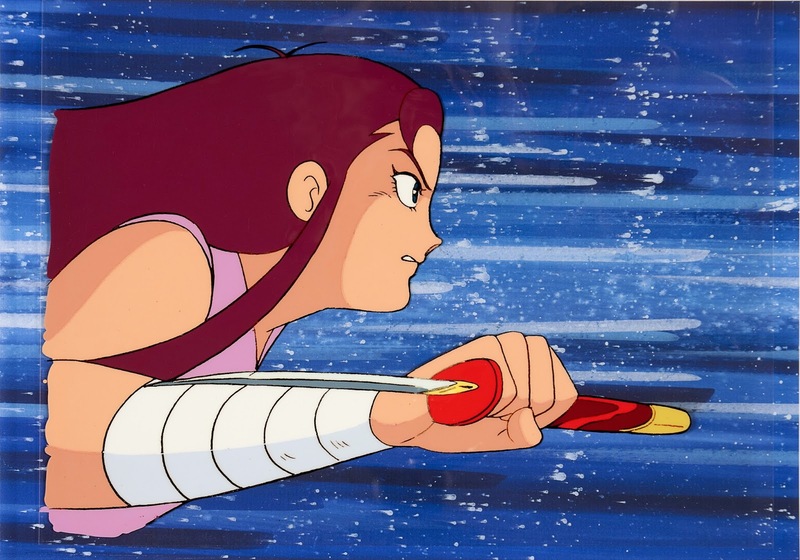 Hiroyuki Nakano, Red-Shadow: The Masked Ninja. The Codex Atlanticus of Leonardo Da Vinci.